The purpose of the Saint Anne’s Day School Advisory Council is to guide the business and affairs of the Day School, to develop its policies and to provide it with oversight, subject to approval of the Vestry. The Council sets policy, oversees the school’s management, ensures financial stability and plans for the future. 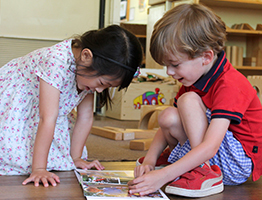 The Council works to ensure the future of the Day School and its continuing Episcopal Identity.